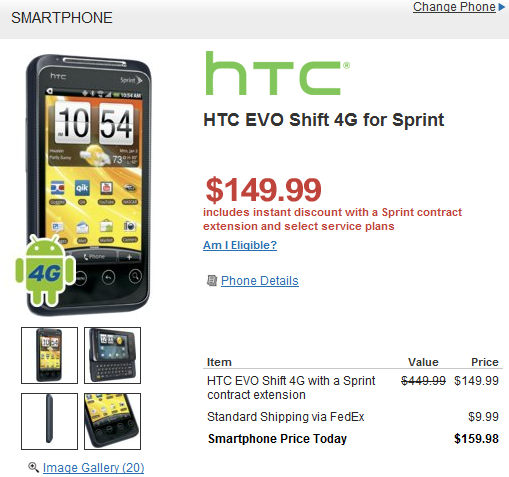 If you aren't already chained to a smartphone contract perhaps this is a good time to get your feet wet and buy the HTC EVO Shift 4G slider from RadioShack for the low price of $69.99. You will of course also have to sign up for a two-year contract with Sprint. The slider phone has been available from Sprint for $150 since its launch, with occasional discounts popping up, however this deal from RadioShack appears to be the lowest yet. 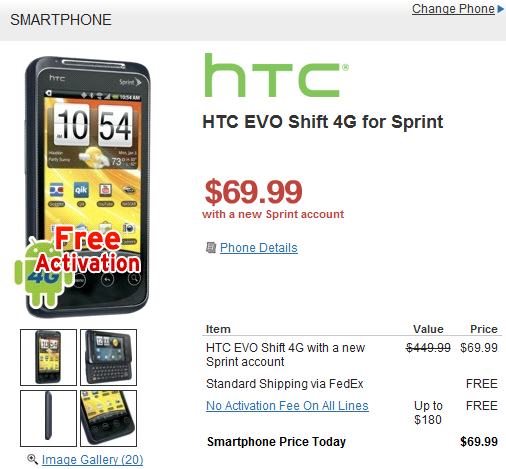 Unfortunately, the discount does not apply if you are upgrading your current device. You will have to pay the full $150. New customers will also be entitled to free standard shipping via FedEx, while those upgrading will have to fork over $9.99 for the same privilege.